"Waiting on Wednesday" is a weekly meme hosted by Breaking The Spine that features highly anticipated new book releases! Ooooh, look at that cover. 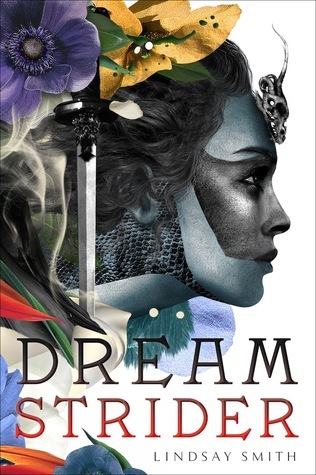 I know it's been said that you shouldn't judge a book by its cover, but I am judging and loving the cover art for Dreamstrider. So many bright colors contrasted with the black and the dark gray -- it's gorgeous. Gimme, gimme, GIMME! But, cover art aside, the synopsis for Dreamstrider is really intriguing. Spying on people while they dream? That kind of reminds me of one of my favorite movies: Inception. I haven't read any of Lindsay Smith's other books, but I've heard a lot of good things about Sekret. I hope that Dreamstrider lives up to my expectations. What do you think? Will you be reading Dreamstrider? Don't forget to leave a link to your WoW post! I love this cover, too. New follower here!! Thanks so much for following, Brittany! I was first drawn to this book because of the cover too!! After reading through the synopsis I'm really interested. I read a book with a similar concept but I wasn't all that impressed so I'm interested to see how this is. I'm really excited for this book because I've never read anything like it. I really hope that it doesn't disappoint. Thanks, Brandi!